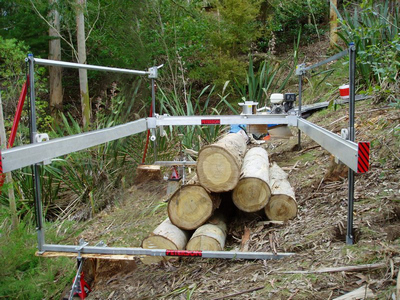 There are many reasons why Peterson Portable Sawmills design and manufacture the best portable sawmill on the market today. The company stand behind their product 100% and are proud of their top quality, versatile and efficient mills. 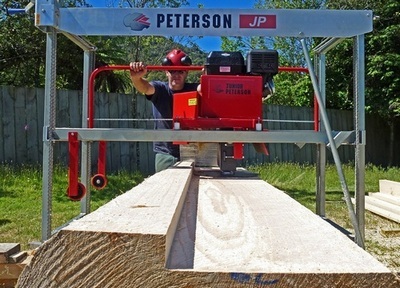 Since the invention of the swingblade mill by Peterson Portable Sawmills, many people have tried to replicate the technology. The ease of use, the amazing versatility and the machine’s portability all make Peterson’s swingblade the best portable sawmill. Replicas on the market offer some of these things also, but they do not have the quality of the original swingblade mill, nor do they show as much innovation in their designs. Even when you think you know all there is to know about operating a sawmill, you will enjoy the hands-on experience of free training with one of our Peterson mill operators. All of our standard mills (excludes electric mills) comply with CE Certification. This certification is the highest internationally recognized standard for safety compliance. Best Portable Sawmill (swingblade) at the Ohio 2015 Great Portable Sawmill Shootout – click for details! Peterson mills and blades are built to last and are made of extremely durable products; this makes the re-sale value high; most owners only lose about 10% from what they paid for it. Since the development of the MicroKerf blade, using 3.5mm kerf tips, – the smallest available in today’s market – Peterson’s now offer a thinner kerf, but with all the benefits of circular saw technology. 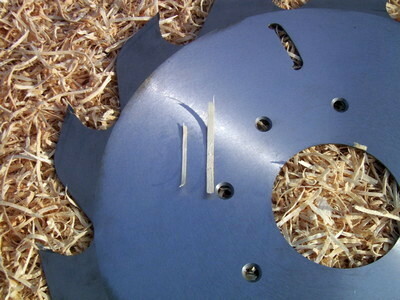 The MicroKerf blade has been proven to increase cutting speed by 20-30%, while also increasing recovery by 15-20%. Double cut wide boards and slabs easily without having to turn the mill around like other brands. Simply remove two bolts and take off the sawdust deflector (or make no adjustments at all with the Junior Peterson) and you’re away! Peterson use quality Italian gearboxes with bulletproof solid steel mounting and external pillow block which completely eliminates any sideways pressure. Our transmission design is very efficient and dependable. This maximises power transfer between the engine and the blade without compromising on durability. Our robust transmission design requires little maintenance and is simple to maintain. To ensure the air filter intake is further away from the sawdust output preventing sawdust build up and overheating of the motor. Peterson do not have any fiddly sizing mechanisims. Our sizing devices are right at the operator’s fingertips, are tried and true and simple to maintain. “Our customers tend to be those who have done their research. They’ve read information from different manufacturers, they’ve watched videos online, seen photos, read articles talked to other buyers, compared results and even visited mill owners. 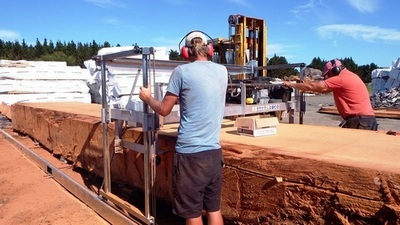 Their sawmill is an investment and business, as well as a lifestyle choice. It’s important to them to get the right machine, once. And they don’t suffer hot-air sales pitches. That’s why, when they’re ready to purchase, they’ll call us. Because they know by now that Peterson doesn’t oversell. We’re totally honest, we send you to an owner for the ‘real’ feedback, we don’t speed up operating videos, and we don’t boost unrealistic cutting speeds.